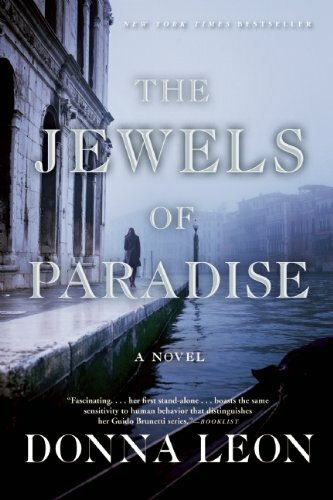 The Jewels of Paradise by Donna Leon acquaints readers with Baroque musician Agostino Steffani, whose legacy provokes a probate mystery in Venice, Italy. The Jewels of Paradise acquaints essayist, historian, and novelist Donna Leon’s readers with the biography and compositions of seventeenth- and eighteenth-century diplomat, ecclesiastic, and musician Agostino Steffani (July 25, 1654 – February 12, 1728) in Baroque Germany and Italy. • The mystery begins with Venetian native Caterina Pellegrini resigning from four years as assistant professor and research fellow at the University of Manchester’s world-respected center on Baroque music studies in England. • Cati considers examining the unknown contents of two unopened trunks to ascertain the disposition of riches between two descendants -- a tax evader and a usurious moneylender -- of Agostino’s cousinly heirs, archpriest Antonio Scapinelli and Giacomo Antonio Stievani, conducive to reinserting herself in continental Europe’s job market. In "The Jewels of Paradise" Donna Leon introduces Venetian native Caterina "Cati" Pellegrini, who leaves her position in Baroque music at UK's University of Manchester to return home for an intriguing project. correspondence with Cristina, nun of 20 years, professor in Germany, and Cati’s third-eldest sister. Clarifying document references and understanding seventeenth- and eighteenth-century events give Cati excuses to examine anti-English, anti-Hanoverian, and anti-Protestant agendas in northern Germany. Agostino Steffani devoted his life to church, diplomacy, and music. Nicolò Montalbano’s interactions with Philip Christoph von Königsmarck’s (March 4, 1665 – July 2, 1694). Donna Leon's "The Jewels of Paradise" spotlights local cuisine: Everything about Italy's Veneto region is distinctive, including its intriguing cuisine; as one of Italy's premier wine-growing regions, the Veneto excels in wine production. spaghetti served with scallops, zucchini. A gripping tale of intrigue, music, history and greed introduces native Venetian Caterina Pellegrini -- a new sleuth as compelling as Donna's popular Commissario Guido Brunetti. Leon, Donna. 2012. The Jewels of Paradise. New York, NY: Atlantic Monthly Press. Caffè Florian numbers among Venetian landmarks featured in "The Jewels of Paradise." Caffè Florian, considered Italy's oldest coffee house, in continuous operation since 1720, is located on Piazza San Marco and is a popular venue, not only for cuisine, but also for cultural events such as concerts. Mira, The combination of Baroque music expertise and 25+-year residency combine to make "The Jewels of Paradise" a fascinating reading experience. All of Donna Leon's books merit being read even though I guess when push comes to shove I'd have to own up to a super-particular fondness for "By Its Cover," "Gondola," "Handel's Bestiary," and "The Jewels of Paradise." 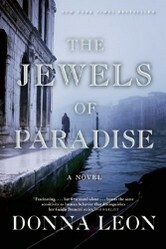 It's my hope that Donna Leon will turn "The Jewels of Paradise" into a series. In Russia, perhaps Caterina Pellegrini and The Romanian will find P.I. 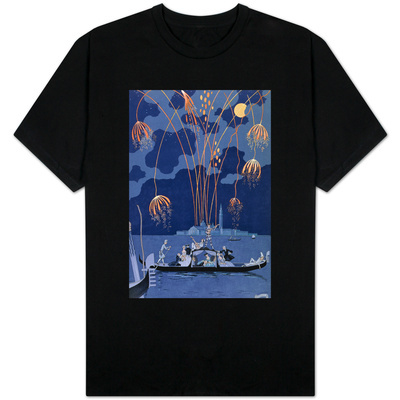 Tchaikovsky's lost "The Voivode." You say she lives in Venice and has a passion for the place and for Baroque music. It sounds like a great book!